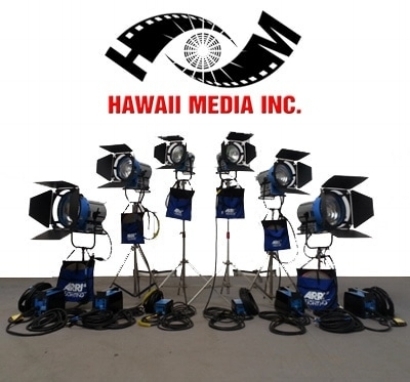 Family owned and operated, Hawaii Media Inc. (HMI) is the largest and most comprehensive equipment rental company servicing the film and television industry in Hawaii. Our company provides industry leading production equipment, including cameras, lenses, lighting, grip trucks, cranes, dollies, expendables, and much more. 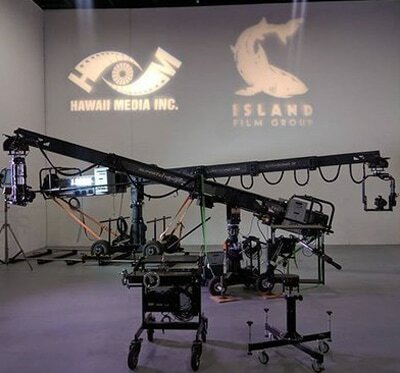 With a 20,000 sf facility, twelvefull-time employees, in-house repair, a 2,500 sf soundstage and over 3,000 sf of production offices, HMI is the premier choice for equipment and production services in Hawaii. Thanks to all who came to our 25th Anniversary party!! HMI has the largest privately owned production facility which also houses a 2,500 square foot sound stage. Looking for cinema quality cameras, lights, grip equipment, generators, dollies, cranes, and more production equipment? HMI can also assist with a complete range of production services, everything from pre to post-production.